we now offer the e-LEVEL Systems!! 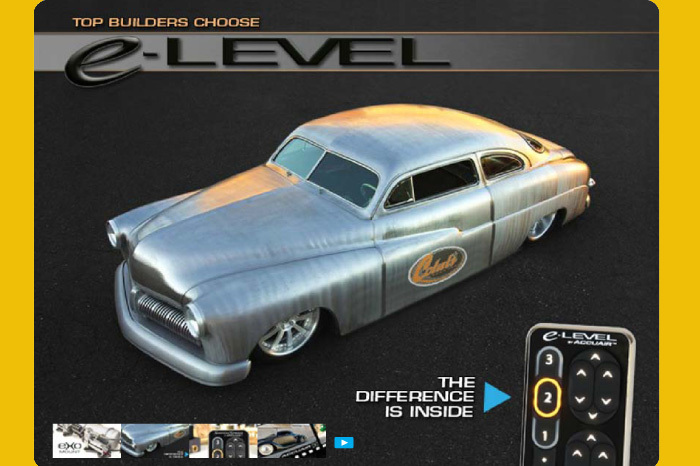 To take your height adjustment to the next level, we offer the e-level height control system for accurate adjustments. The e-level system many features such as 3-programmable height settings, Ride Monitor Mode, and Ride-Height-On-Start, etc. This is the most accurate air ride height control unit on the market today.